The world of Ghostbusters is about to get a lot more interesting. Not with new actors taking over the title, or even those beside the late Harold Ramis... but potentially all the original characters, thanks to CG wizardry. Most fans had moved on from the idea of seeing Ghostbusters 3 reunite the cast of Dan Aykroyd, Bill Murray, Harold Ramis, and Ernie Hudson even before Ramis's death. But where it had once seemed that his passing erased all chances of a reunion - thus ushering in the 2016 Ghostbusters reboot - it now sounds like a return is being planned by the franchise's custodians. Just... not how you might expect. Director of the original Ghostbusters movies and producer of the recent and coming films, Ivan Reitman, dropped the tantalizing, if not puzzling tease at San Diego Comic-Con. After telling fans that 2019 could see a Ghostbusters movie currently in development hit theaters, he offered up an answer regarding digitally recreating Ramis's 'Egon' (at least it seems) that will get most fans scratching their heads - if not outright skeptical that it's the right move for the series. It's no secret that the stated hope of building a 'Ghostbusters shared universe' of movies hit some turbulence with the underwhelming box office performance of the 2016 reboot. And as questions were directed to Reitman about potential movies, spinoffs, or expansions in either live-action or animation, clues were dropped about the new angles and story ideas being pitched and considered. Naturally, the original cast came up regularly, but Reitman maintained a soft stance suggesting the future of Ghostbusters was in variety and innovation more than nostalgia. "It's possible... it's something we're thinking of. [Audience 'Oooohs']. HINT. [Laughs]"
Unfortunately, it's hard to know if the CG "recreation" being referred to by either the attendee or Reitman is the recreation of the late Peter Cushing's 'Tarkin' or the de-aging of Carrie Fisher's 'Leia Organa.' And whether Reitman and his team are considering recreating Ramis as Egon in a movie, or de-aging the other members of the cast for a film set earlier in their lives is an important distinction. Fans may not be in favor of either, but the reasons for each will be wildly different. There will be those who immediately assume the worst, and accuse Reitman of sacrilege for even considering recreating Ramis or his character through CG artistry. But if Reitman was unwilling to direct Ghostbusters 3 without Ramis, it seems a stretch to assume he would be comfortable using an artificial version created in post-production. That being said, who knows? If done with respect and care, seeing the original stars return with a form of Ramis (presumably in a much smaller capacity) could be more heartwarming than upsetting. On the other hand, a hope of de-aging the surviving actors suggests a completely different premise. 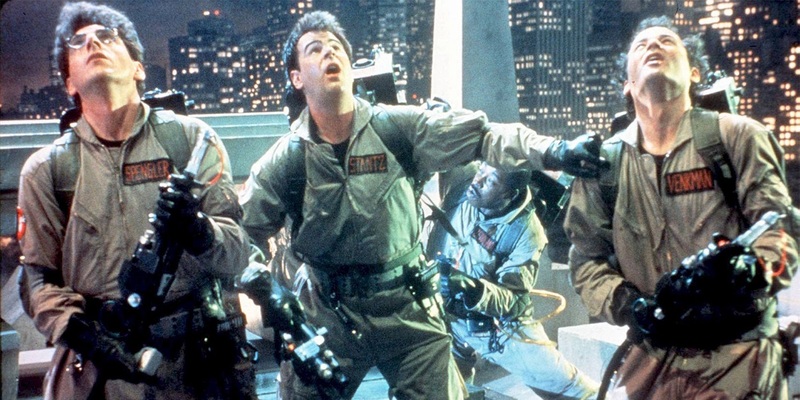 Reitman has previously pitched the idea of Ghostbuster franchises around the world launched after the first film. If those movies were to be set against the same 1980s backdrop, then appearances from Murray, Aykroyd, or Hudson at the age they were when filming would be a clever solution. Not to mention a return to the 1980s that would instantly build a stronger link between Ghostbusters of yesterday and tomorrow. What do you think, Ghostbusters fans? Which interpretation of Reitman's comment would you like to assume? Would you be for or against either means of honoring or including Ramis alongside the other stars? NEXT: New Ghostbusters Movie Coming in 2019?